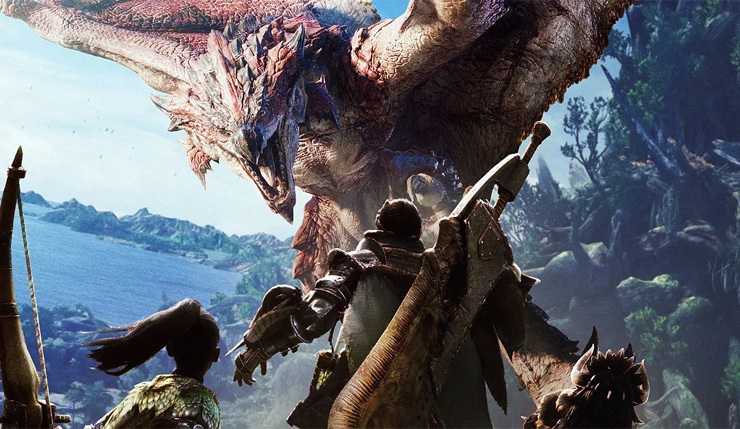 It has been a long time coming, but Monster Hunter: World is finally available on the PC. And thanks to Denuvo it has taken me just as long to get this performance article together as I was forced into a 24 hour waiting period from too many hardware configuration changes. As explained by CAPCOM in an earlier article, they went with the aged MT Framework engine rather than employing the newer RE Engine like Resident Evil 7 uses. This meant they were able to keep in-house control of the game engine without relying on outside sources, or so they claim. But we are not here to discuss and debate the reasoning behind the game engine, we want to see how it performs so let’s jump into it. 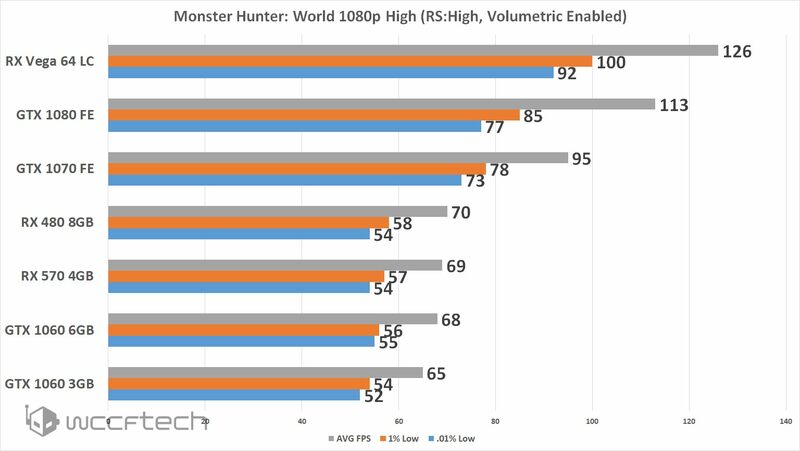 Thankfully Monster Hunter: World doesn’t include a built-in benchmark so we had to create one that was easily repeatable in the game but still represented typical in-game performance. This is rather hard to do in a more open and varied game as inevitably you are going to find some areas of the game to be much more taxing than others. The settings were a bit of a booger as the ‘highest’ setting brought things down to an unrealistic level, we found the ‘high’ preset to be a good balance for testing with one manual tweak to the ‘Resolution Scaling’ option. 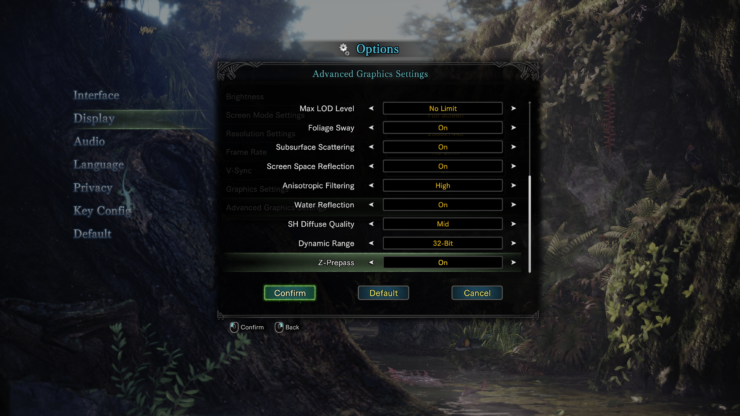 The ‘Resolution Scaling’ option has several options and with no way of knowing exactly what they meant as they were listed: Low, Med, High, Variable (Resolution), and Variable (Framerate) we went with High hoping that was representative of 100% Scaling. After all, there no point in testing anything with an uncontrolled ‘variable’ setting like the ‘High’ preset came with. We did the test with Volumetric enabled, yes it’s tough to run but is just as important as the moving foliage for atmosphere and it’s part of the ‘High’ preset, after all, if we start tweaking past this point it’s full custom settings. For our test, we conducted three runs using the first open area just past the opening sequence starting our 60-second run right after your character closes the map they were given. This run features dense foliage, sweeping landscape reveals, several large animals, water, and long draw distances. Drivers from both camps were ready for this title at launch day. We had it running a few days prior to launch, but we spent that time working with the Ryzen 5 2400G to see how it ran on just an APU these days. We got started with this on launch day since there was an update and we were able to keep results consistent because of it. In the core scaling test, we used the UEFI to control core count and SMT options so that we had full control and knew what was going on in the background was actually taking effect. We did conclude all these tests using the Ryzen 7 1700 at 4GHz so we weren’t swapping chips out constantly, and there isn’t currently a dual-core Ryzen chip to be had. All configurations stuck with the 2 CCX solutions so; 6 core = 3+3, 4 core = 2+2, 2 core = 1+1. For GPU we paired it with the fastest GPU of from our test suite in this title to exaggerate the impact as much as possible, in this game’s case that was the RX Vega 64 Liquid Cooled. 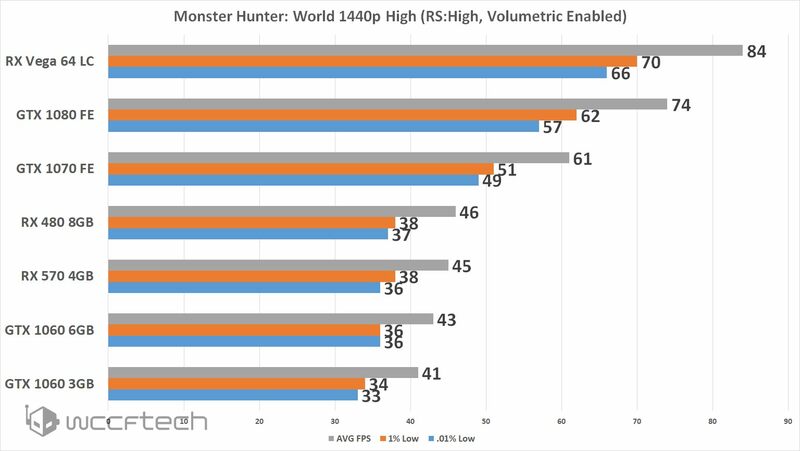 According to these results, we can see a clear lead for the Radeon cards across all tests, looking over the results I can’t help but wonder just where the RX Vega 56 would have fallen. 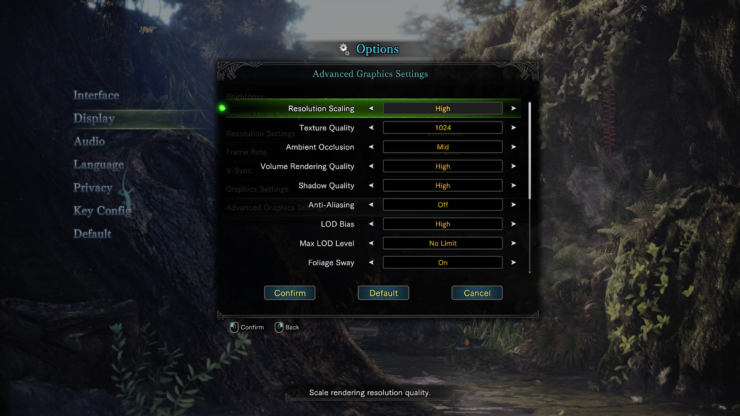 For those wondering, however, moving the Resolution Scaling option to Variable (Resolution) will increase the performance drastically but with a noticeable hit to visuals. The visual impact, however, is not enough, for me personally, do not use it and benefit from the increased framerate. 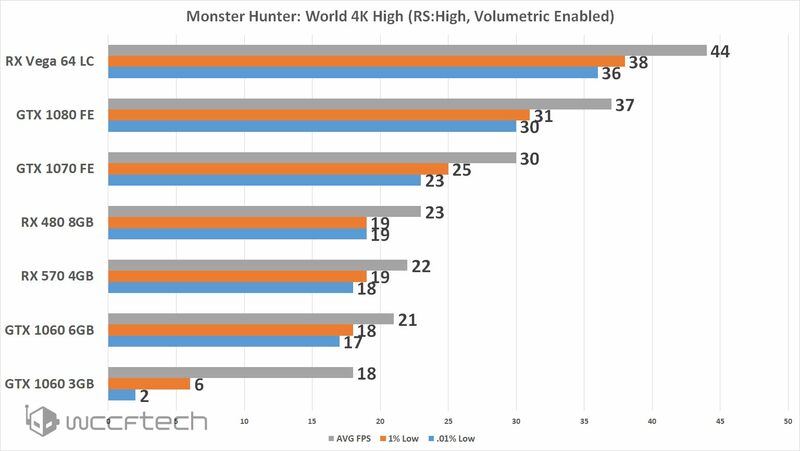 Another interesting part of the game was to see the core scaling and how it really does impact the game. It really smooths out for Ryzen owners once you hit the 6 core mark. 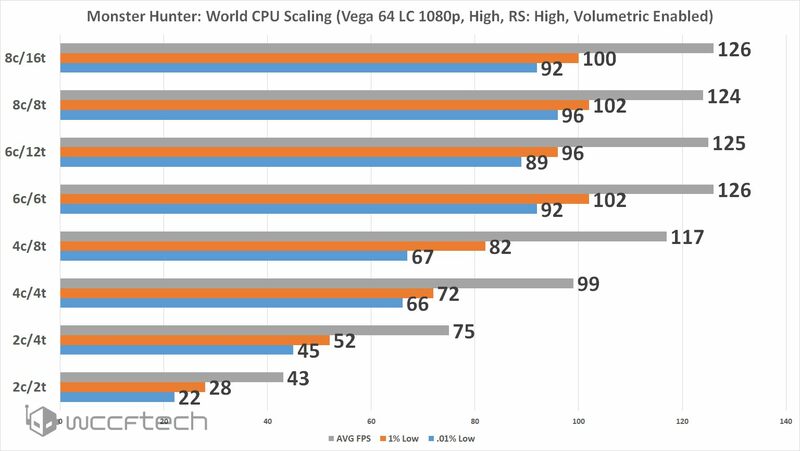 Although I would imagine those with an RX 570-580 or a GTX 1060 wouldn’t see much difference with a quad-core Ryzen part. Not the best of ports to say the least, but this is where our results led us and we’ve had no significant issues outside of waiting to complete the testing thanks to Denuvo. Let us know down below if you’re playing it and what you’re seeing from your system.